Tort law is arguably one of the most important bodies of U.S. law, simply because it governs basic everyday human interaction. As such, tort law is one of the most important fields of paralegal employment as well. This course will provide our students with a general understanding of the laws dealing with civil wrongs and the remedies for those wrongs, including intentional torts, negligence, liability of principals for the actions of their agents, strict liability, products liability, nuisance, defamation, invasion of privacy and various factors that affect the right of a plaintiff to bring suit against a defendant. The course will also focus attention on the nature of personal injury litigation, its documentation and practices, assessing and evaluating claims of damages, losses and the formalities of adjudication and/or settlement. Because tort law arises from, and is so deeply rooted in, everyday life, it is one of the most interesting, as well as relevant, areas of law that you will study. Describe the rules of intentional torts and apply them to specific fact patterns. Describe the rules regarding defenses to allegations of such torts and apply them to specific fact patterns. Draft a memorandum to a court or supervising attorney applying the elements of a cause of action to a real life scenario. Research the elements of any cause of action under state or federal law, using statutory and/or case law. Apply the rules regarding special duties owed, including those by land owners, common carriers, innkeepers, etc. to hypothetical fact patterns. 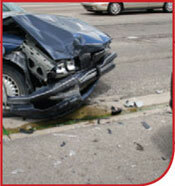 Determine the extent of liability for a specific negligent act. Describe appropriate defenses, such as contributory negligence and assumption of risk. Apply the rules of strict and product liability, in product liability cases, including failure to warn, mis-design and mis-manufacture. Evaluate whether a defamation action can be successfully brought in a hypothetical fact pattern. Apply the elements for causes of action in fraud, malicious prosecution, invasion of privacy and interference with commerce, to hypothetical fact patterns.